The density of the Earth is 5.513 g/cm3. This is an average of all of the material on the planet. Water is much less dense than iron, hence an average is needed for ease of use. Earth is the most dense planet in the Solar System; however, if gravitational compression where factored out, the second most dense planet, Mercury, would be more dense. 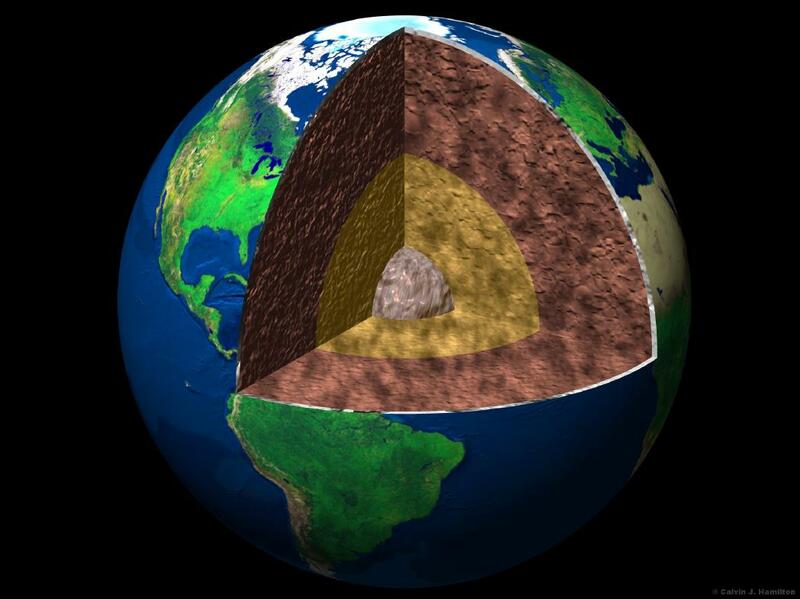 The density of Earth is calculated by dividing the planet’s mass by its volume, then simplifying from kg/km to g/cm cubed. Here is the density of the other planets in our Solar System so you can compare to Earth’s. Just knowing the density of a planet is not much information. It sort of only gives a partial picture. Here are a few more interesting facts about the Earth that may help you understand our planet a little more. The Moon is thought to have been formed when a large asteroid or a planetesimal impacted Earth. The Moon is the portion that was thrown back into space and the particles that accreted to it. Scientist think that other planets may have obtained some of their moons in a similar manner. The Earth is the only planet with a single Moon, but has two quasi-satellites 3753 Cruithne and 2002 AA29. The Sun is constantly evolving. In a few billion years it will begin to heat up on its way to the red giant phase of a star’s life. Along the way it will become hot enough to destroy life on Earth. The question will become how will humans survive. Colonizing other celestial objects is one option. Some scientists have developed a theoretical way to move the entire planet. It would require finding an asteroid large enough to perturb Earth’s orbit and push away from the Sun. Colonizing another planet could actually be easier. Despite a lot of internet hype, there is no credible threat to the Earth that will coincide with the end of the Mayan calendar. The Mayan calender does not even end, 2012 marks the end of the current long-count period. 2013 marks the beginning of another. The density of Earth is one of thousands of interesting facts that you find about your home planet. Here at Universe Today, we hope that you want to find many more and continue to research the world around you. We have written many articles about density for Universe Today. Here’s an article about the density of the Sun, and here’s one about the density of Mars. Next PostNext Why is the Earth Round?